On a hot Monday morning last September, I arrived at the Delhi co-working space I'd started frequenting two months earlier. I sat at the table that had become mine – the staff, now friends, try to keep it free until I arrive – and pulled out my journalist work tools: a laptop, an iPhone and a notebook. I slipped on my headphones and spent the next few hours sifting through emails and taking Skype calls from an editor in London and a nurse in Indonesia. When I needed a break, I headed outside towards Abdul, the 'momo' seller across the street, who always energises me with a quick chat. I then left for meetings with local NGOs. This has become a semblance of my weekday routine since I left grad school in 2014. Just to survive, I'd spent my final year of university combining full-time study with full-time work and part-time freelancing. The experience left me wanting more than the expensive commute and unaffordable rent offered in London, where most of the UK's media jobs are. So I packed my bags and hit the road, hoping to meet people I didn't expect and uncover stories that hadn't yet been told. And somewhere in the process, I became a 'digital nomad'. Turns out I'm not alone. Over the past decade, an increasing number of professionals have been straying from the well-trodden path of office cubicles and working nine to five. The tech-driven nature of the 21st century has encouraged young people, mostly from Europe and the US, to relocate and build their careers from afar. They've become known as digital nomads, and some predict there will be 1 billion of them worldwide by 2035. According to Dr Meera Tiwari, Head of Global Studies at the University of East London, it's easy to understand why people like me are choosing this path over more traditional work environments. "Some countries have been offering safe, affordable and pleasing environments geared towards overseas tourists for a long time," she says. "The arrival of high-speed WiFi and access to better electronic communication platforms has made them perfect destinations for digital nomads." The wide availability of co-working spaces and strong coffee both play an important role in this trend; the more appealing the facilities and services, the more attractive the proposition becomes for foreigners considering a move abroad. "A lot of places like Bali and Chiang Mai have infrastructure built specifically for the nomadic community," says Matt Drozdzynski, who founded Pilot, a platform that connects engineers and designers with companies looking to hire. "There are coffee shops, co-working spaces, and rental properties specifically tailored to this group." 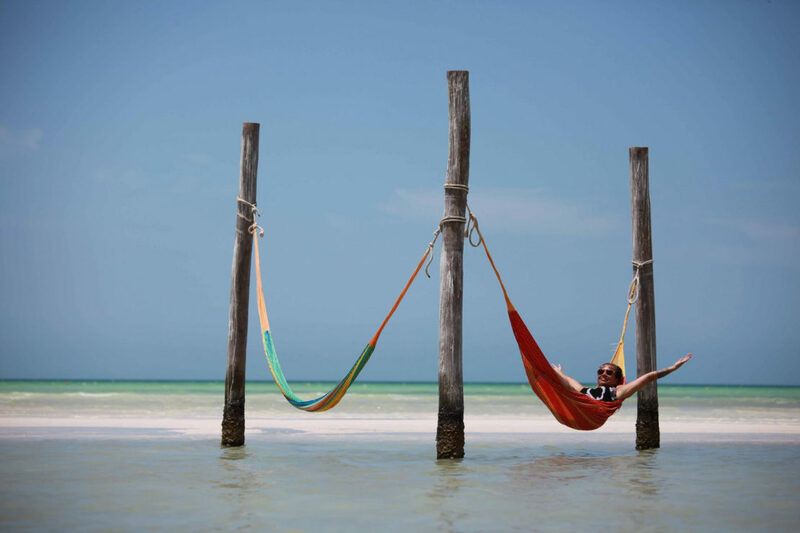 The benefits of being a digital nomad are more than just cheap living and an excuse to travel. Since moving abroad, I've been able to make unexpected personal and professional connections, collaborate on new projects, and be surrounded by similarly minded people – wherever they may call home. Each day has done wonders for my productivity, ambition, and motivation. Despite the many advantages digital nomadism offers, it can potentially cause rifts in host communities. All too often, those building the infrastructure for digital nomads are expats themselves, deepening a disconnect between foreigners and locals. "While sometimes these services are provided by entrepreneurial locals," says Drozdzynksi, "many are run by the same nomads who trail-blazed that location years earlier. While it might be good to think that these people contribute to the economy or the community at large, a lot of the time they’re serving themselves." This is one of the major controversies of digital nomadism – namely, the potentially neocolonialist overtones of enjoying the fruits of a cheap, 'exotic' setting while creating an almost parallel economy and social circle. From conversations with those I've worked alongside in India, Malaysia, Indonesia and Thailand, I know that many digital nomads find this paradigm problematic. But beyond buying local goods, learning about cultural differences and making the effort to socialise, it's often difficult to know what individual freelancers can – or should – do. "Based on the scattered evidence available," says Tiwari, primarily about Southeast Asia, "digital nomads are not directly involved with the productive mechanisms in the host country. But they do contribute to local economies through their consumption of local services.They're neither the backpacking tourists nor the corporate workers demanding luxury services. But their average budget of $50 per day makes them attractive consumers for mid-range service providers in these developing countries." Tiwari rejects the notion that digital nomads are practising a form of colonialism: "While there are differences in economic power at micro levels, this is a very different phenomenon to the colonial models [of the past]. Some developing countries are rapidly marching into middle-income status with an expanding number of domestic rich. And the mobile community is increasingly embracing technology to overcome geographical and economic barriers to their participation in global markets." Drozdzynski argues the presence of digital nomads has important benefits for local communities in developing countries. "It's easy to forget the other side of the remote worker coin," he says. "People born and brought up in developing countries are now able to work for companies abroad. With the rise of remote work and distributed teams, everyone has an equal chance wherever they happen to live." Given the vast levels of wealth inequality in Asia and beyond, Drozdzynski's glib assertion that 'everyone' has access to the same opportunities is idealistic at best. But co-working venues and other aspects of a nomad-friendly infrastructure do create jobs for local economies, and a number of ambitious young people are indeed taking advantage of international connections to build remote careers, especially in the tech and creative industries. 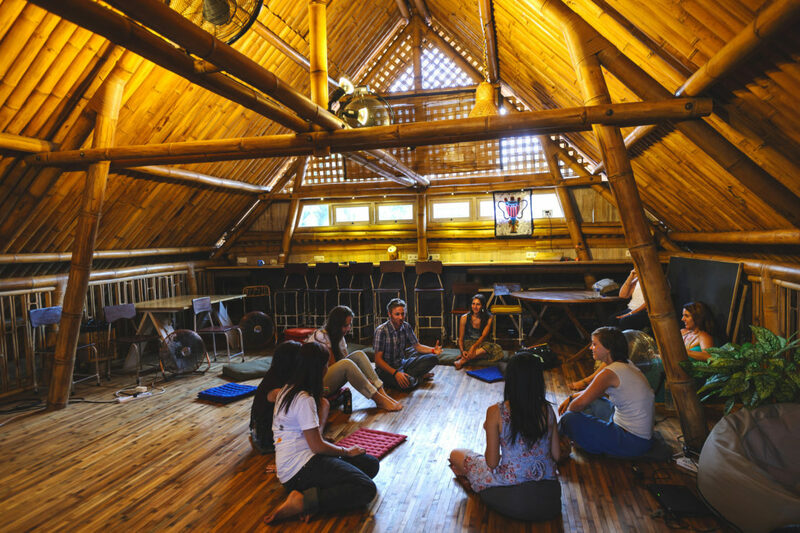 Ubud, an expat-filled town in Bali's north, has been home to a co-working space called Hubud (short for "Hub in Ubud") since 2012. Around 80 per cent of the venue's members are digital nomads, and the average length of workspace membership is around five months. Founder Steve Munroe, who hails from the USA, has recently launched a project to help digital nomads interact more productively with the local community, based on feedback from Hubud members. "In the past, we've organised garbage clean-ups," Munroe says, "and that's great : waste management is a big issue in Bali. But we also recognised that this wasn't utilising the talent pool of our community very effectively. That led us to launch a new 'co-giving' project, which matches remote workers with locals who need help achieving specific goals." Hubud's first partner organisation for this new co-giving project is The Spring, a local private school. Munroe appointed a project manager to help the school define its goals and decide what kind of help would be most useful. The conclusion was that attracting 10 more students would make a significant difference. Hubud members can now volunteer to develop the school's SEO, branding and web presence. "Something organised like this offers an effective way of coordinating community involvement," says Munroe, "because the volunteers have a clear project brief and a set timescale. We're aiming to create positive value for both the co-workers and the host community. For Hubud, it's not so much about giving back to the community, but about being part of the community." Munroe notes that co-working spaces like his tend to attract more digital nomads than locals; but he believes this has more to do with cultural differences than an 'us' and 'them' mentality. "For a lot of Balinese people," he says, "the idea of sharing details of your business publicly in the way that the collaborative and networking elements of co-working require can be quite affronting. Most of the foreigners who work from Hubud are more familiar with co-working, which in my view is why the concept has taken off more as a trend in the expat community than among locals. But I think the more different people learn about and get comfortable with co-working, the more diverse our membership will become." This is something that's already happened in India, where the majority of entrepreneurs who operate from co-working spaces and freelancers who undertake remote work for global companies are locals. Riyaaz Amlani owns India's biggest co-working brand, Social, which currently runs nine workspaces spread across the country. He believes the trend towards digital nomadism offers a good indication of the future of work more generally. "The way we're working now is going to be dismantled quickly," he says. "Work will be done across geographical barriers, across time zones, and in loosely knit collections of individuals who attack problems together." "I know of many design and creative agencies who are already working like that," Amlani says. "Eventually I think this could happen across all industries. An 'organisation' will come to mean a collection of professionals working together on a project without any of the traditional restrictions."